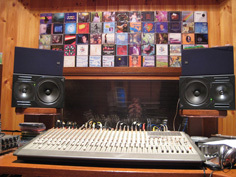 Situated in the beauty of the Adelaide Hills, which is fast becoming the wine growing centre of Australia, sits Locrian Records recording facility - Banjo Frog Studio. Named after the Eastern Banjo Frog which resides in the stream which runs past the front door of the studio, it is the home of Locrian Records and the variety of artists who record Celtic, Folk, Ambient, Classical and Progressive Rock and Metal there. It is also South Australia's only solar powered recording studio, taking energy from the sun and turning it into music. 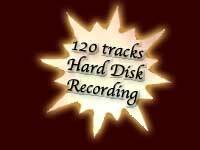 Banjo Frog Studio has 120 tracks of editable digital recording, using Logic Pro and Macintosh G5 computers. 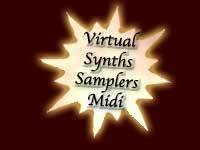 There are also additional tracks of virtual synths and samplers and unlimited tracks of midi. Mixing and mastering is either digital or analogue to CD. It provides the artist with the opportunity to create lush arrangements, with editing flexibility and the warmth of analogue and the clarity of digital. There are a range of digital and analogue outboard effects. The studio is of a constructed split level design made from Hebel Sonoblock with a separate control room 3.5m x 4.5 m, and recording area 7m x 4.5 m separated by staircase and three triple glazed windows. There is ample daylight with windows in both rooms, and high raked ceilings with stone and wood walls. 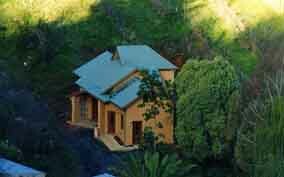 The studio is situated on 20 acres of bushland with creeks, lakes and walking trails. It's so quiet you could record outside! A 1.5 Kilowatt solar power grid has been used to power the studio since 2002. Recording acoustic instruments is a priority and speciality of the studio. The studio design is complimentary to acoustic instruments with no parallel walls in the studio. Recording is done using Rode, AKG, Sennheiser and Shure valve, condenser, back electret and dynamic mics. We also use valve pre amps. In addition, the studio offers a variety of vintage analogue and digital keyboards including Arp, Prophet 5, Roland synthesizers, drawbar organs, sampled grand pianos and a huge range of software synths from Hammond B3 organs to Mellotrons and Minimoogs. There is a wide range of gifted musicians who use the studio and who are happy to play a vast range of instruments for your recording. "This disk is beautifully recorded and mastered - a credit to Gavin O'Loghlen"
"Full praise must go to Gavin O'Loghlen for capturing the recorded sound with such clarity and definitude"
"The organ sounds, quite simply, wonderful. The sound is honest - no engineering tricks or added ambience"